As I was studying my Environmental studies for a test, it just hit when I realized something didn't make sense, now this could be because ive been so stressed out and lack of sleep have been making it hard for me to think clearly lately(the life of college) , but remind me again scientific how Scars rule caused the land to die out because, let me explain this in order, Scar and the hyenas, take over the pridelands, Scar lets the hyenas over hunt the land the land dies, BUT if the the herds were over hunted and or have moved on, WOULDN'T there be more vegetation since there was nothing to graze it, wouldn't it, shouldn't it have the OPPOSITE effect? I have been a lion king fan all my life and the science in has made sens up till now when I just realized this didn't make sense to me so one PLEASE make sens of how and WHY the land is dead when there is nothing to over graze when the heard are gone and dead. Last edited by gothprincesskiara on November 19th, 2016, 11:09 pm, edited 1 time in total. gothprincesskiara wrote: Scar and the hyenas, take over the pridelands, Scar lets the hyenas over hunt the land the land dies, BUT if the the herds were over hunted and or have moved on, WOULDN'T there be more vegetation since there was nothing to grazwe it, wouldn't it, shouldn't it have the OPPOSITE effect? You're right about that. However, I always assumed the land dried out because of the lack of rainfall, not the absence of grazing animals. I think it's likely that a drought hit the Pridelands during Scar's reign and his terrible choices as king made the land even more parched and unlivable. It's partially a spiritual thing. The murderous and evil Scar usurping the throne was like a poison to the land itself. It went against the natural order of things, and the rightful heir was needed to restore balance. Captain Cupcake wrote: It's partially a spiritual thing. The murderous and evil Scar usurping the throne was like a poison to the land itself. It went against the natural order of things, and the rightful heir was needed to restore balance. yes but my question is, is there some scientific facts to back it up to make sense of it? No. It's more symbollic if anything. There's not really too much science that plays into the film unless you want to point how Scar threw off the balance of the food chain (mainly referred as the Circle of Life). There should always be a small population of predators that consume the first-level and/or second-level consumers. When there is a maximum of apex predators, the population of prey drastically decreases, which leaves the primary producers (autotrophs like trees, grass, and other vegetation) unchecked. In the film, yes, Scar let the hyenas overhunt therefore the land suffered from overconsumption. It is possible a natural drought broke out during his reign in which he had no control of. As well, the Fisher King myth (the spiritual aspect everyone is mention) is applied in the film by which the condition of the kingdom is dependent on the goodness or evilness of those in power. There would be a surplus of vegetation, which is not a good thing. If there aren't any grazing animals around to keep in check, they would experience overgrowth, and coupled with a lack of rainfall, the vegetation would dry out and die. Scar never respected the Circle of Life and never took care of the delicate balance. And there are two seasons: a dry season and a wet season. The dry season is a really difficult time for Pridelanders, but Scar made it extra hard for them when he ruled it. Maybe this was the worst dry season ever - and Scar caused this all... This made herds to move on. All this meant there was no food and no water. 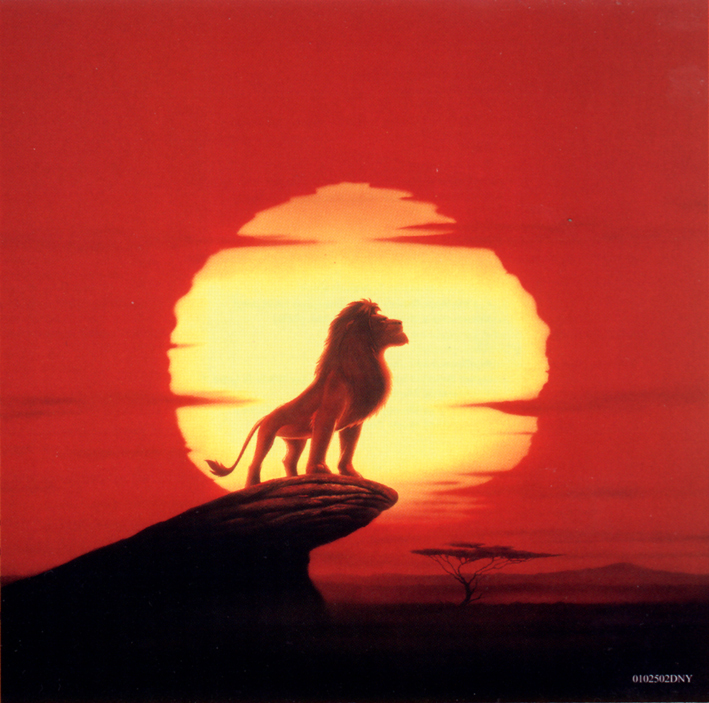 First of all, Scar did not take care of the lands by letting the hyenas hunt as well as the lionesses. Herbivores tend to help grasses grow with nutrients from their waste products and since the grass became more and more scarce all the herbivores would have gathered in one place to eat. The predators would have eaten them and those left would have gone to a different area. There was probably also a problem with rain because the grass tends to anchor water into the area and being dusty as it was the rain or moisture pretty much evaporated once it hit the dust. The death and decay of the Pridelands is also symbolic of Scar as a whole, deranged, ugly, and overindulgent. Scar's reign shows the bitterness and ugliness inside his heart and his land reflects this rather than for the good of the subjects. My two cents. More vegetation = more that can catch on fire during a dry season. Here in California, we have a lot of wildfires during the summer. Since temperatures are similar in that part of Africa, it's safe to assume the same thing probably happened. Fires that would normally be better-contained due to the plants being kept in check, weren't. TheLionPrince wrote: There's not really too much science that plays into the film unless you want to point how Scar threw off the balance of the food chain (mainly referred as the Circle of Life). There should always be a small population of predators that consume the first-level and/or second-level consumers. When there is a maximum of apex predators, the population of prey drastically decreases, which leaves the primary producers (autotrophs like trees, grass, and other vegetation) unchecked. Overgrowth won't hurt in terms of overusing water, vegetation tends to preserve water resources in fact, if the drought would have killed all the plants then it would have done so regardless of vegetation levels due to under-grazing. This is also more or less the case for fires, though fire intensity can pick up due to fire suppression efforts and more vegetation, the primary cause there will still be the conditions that got the fire going, namely drought and very hot temperatures, probably coupled with high winds to spread it. You might also get that effect if somehow the lionesses and hyenas managed to eat all the bug-eating animals resulting in a locust swarm, but that's hard to imagine given how small many bug eaters are and thus smaller then they'd usually bother hunting. 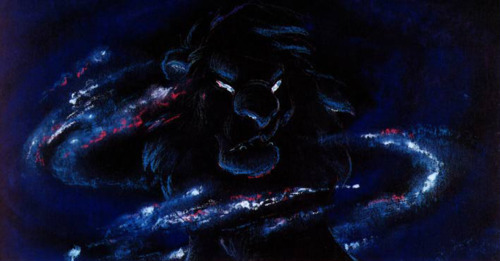 In short, there's no real biological causation between Scar's reign and the particular shape of destruction wrought on the ecosystem, it's mostly there to reinforce the idea that 'Scar is bad' .